A sunny afternoon at Popham Beach. The Bath Farmers Market in Waterfront Park. A treat from Bath Sweet Shoppe. Bath’s Waterfront Park on Saturday morning. The “Mushroom Cap” at Thorne Head Preserve in Bath. 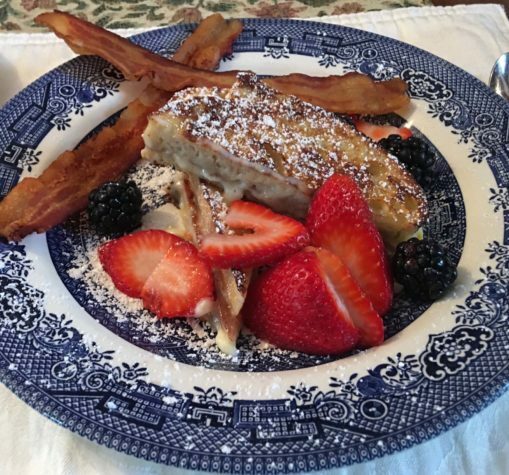 Breakfast at the Kennebec Inn. Five Islands Lobster Co. in Georgetown is a great spot for lunch. Derecktor Robinhood in Georgetown is one of the largest marinas in Maine. Five Islands Farm in Georgetown. 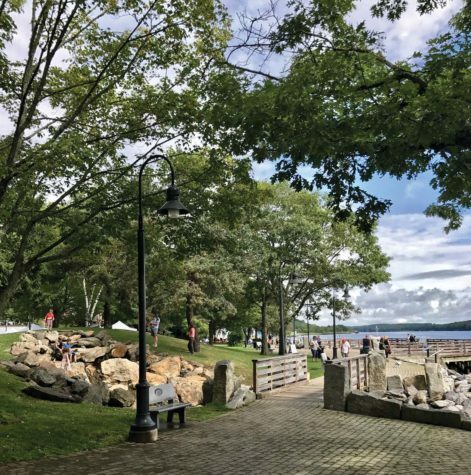 Proud of its industrial bones, Bath is also developing a reputation for fine food, art, and shopping that make it a midcoast destination, along with the scenic neighboring towns of Woolwich, Phippsburg, and Georgetown. After a late lunch at the Starlight Cafe in downtown Bath, we check in to the Kennebec Inn. 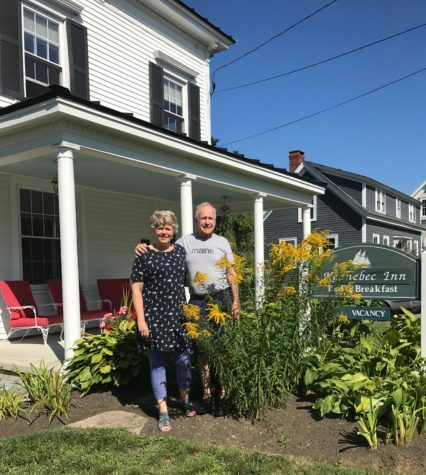 Innkeeper Rachel Parlin gives us the grand tour of the inn. Each room is immaculate and has its own personality and style. She shows us to the America’s Cup Room, which has exposed beams and a view of the beautifully landscaped property, with a fire pit and in-ground pool. 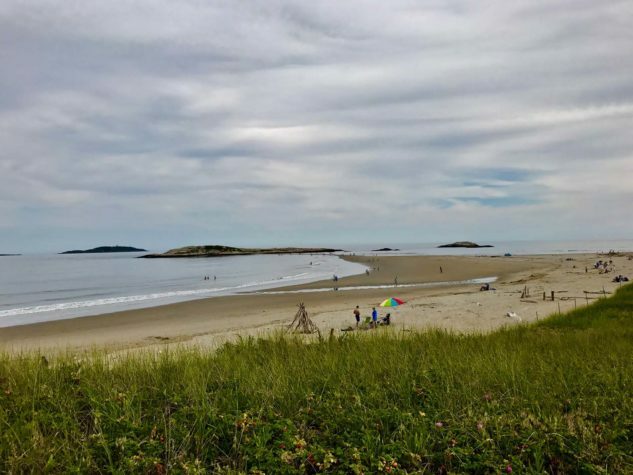 After check-in we head for Fort Popham and Popham Beach State Park. The fort was built in 1861 and was operational during the Civil War. We walk through it and see where the cannons were located. 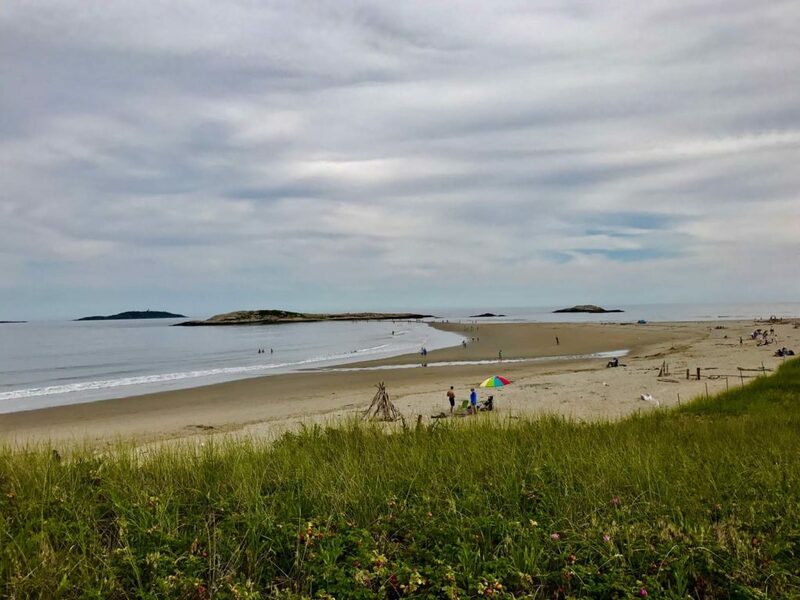 Nearby is Popham Beach, one of Maine’s prettiest beaches. Because it’s low tide, we’re able to cross on foot from the beach to a small island that will be surrounded by water in a few hours. Our next stop is the Chocolate Church Arts Center. No, this is not a church made of chocolate, but a distinctively brown-colored arts center that hosts live music, gallery exhibitions, theater performances, and other programming. I spend an hour with executive director Jennifer DeChant discussing her vision to support the creative arts in Bath. Salt Pine Social is the latest creation of Daphne and Paul Comaskey and Eloise Humphrey, who also own El Camino in Brunswick. 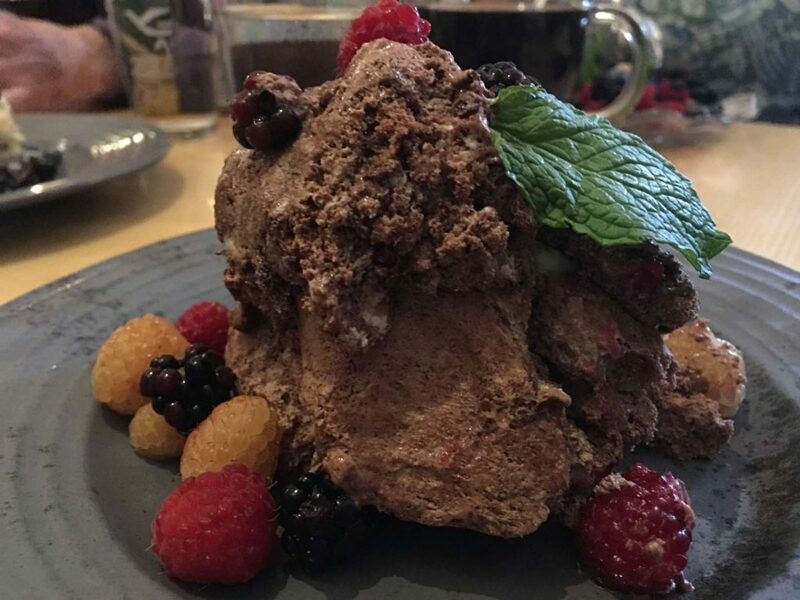 The restaurant’s ambience is special, and the menu is one of the most creative we have experienced. We order the Lobster Goddess Salad and a grilled octopus salad. The desserts are inventive and mouthwatering. After dinner we walk to Library Park and hear some great music played by the Volunteers Jazz Band. Breakfast at the inn includes French toast with just the right amount of butter, fresh strawberries, bacon, real maple syrup, and a strong cup of coffee. Then we walk to Waterfront Park to explore the Bath Farmers Market, which is held every Saturday morning throughout the year. Front Street is the main shopping venue for Bath. My wife, Ann Prescott, loves herbal teas, so we stop at Now You’re Cooking, which has a large variety of teas, other specialty groceries, and kitchen supplies. Owner Michael Fear helps us through the myriad of choices, and we leave with multiple teas and a teapot. We cross the street to Markings Gallery. Fiber arts, pottery, jewelry, and other unique products made of glass, wood, and stone are all here. Around the corner we find Centre St. Arts Gallery, which also offers workshops and studio space for local artists. By this time my sweet tooth is talking to me, so we stop in at the Bath Sweet Shoppe. Back on Front Street, we visit House of Logan, a clothing store, as well as New England Antiques. Now it is time to pause for a cup of tea and a good book at the Mustard Seed Bookstore. For the children in our lives, Pitter Patter is our go-to store. We also check out Bath’s newest art venue, Green Lion Gallery, which features some cool handmade prints. For lunch we go to Mae’s Cafe and Bakery. Katie Winglass is the proprietor, chef, and baker. I have a crab salad on a croissant, and Ann orders a house-made lamb sausage salad. Behind Renys is Pamela’s World, full of jewelry that you won’t find anywhere else. Nearby we also find Kharris B, which has unique works made from glass and wood. Back on Front Street is City Drawers, one of the best lingerie shops in Maine. My wife is a big fan of Bohemian Rose; we leave with a nice blouse. We keep walking down Front Street and arrive at Country Farm Furniture. The store helped furnish our former home in Bath, and also can provide design assistance. 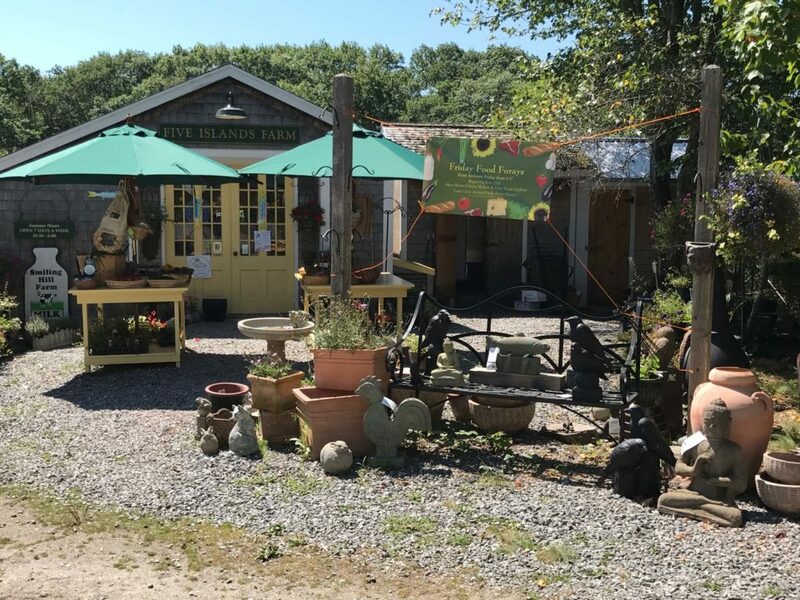 We continue walking, and there’s Lisa-Marie’s Made in Maine with home goods, kitchenware, jewelry, clothing, accessories, toys, and more. And we can’t forget man’s best friend, so we stop in at Wags and Whiskers to get a snack for our dog, Theo. We also visit Just Framing, which, contrary to the name, is not just a framing shop; it’s also an art gallery. Ann, who, in addition to being a woodturner, dabbles in fiber arts, has to visit Halcyon Yarn. 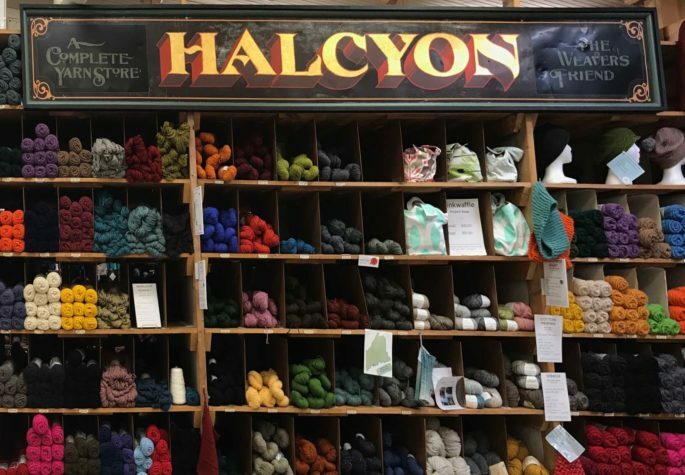 The variety of yarns, fiber, books, and tools is impressive, and Ann buys some supplies for a new project. Any trip to Bath has to include the Maine Maritime Museum. On the way to the museum we stop at the Cabin, which is known for its pizza. The Maine Maritime Museum is one of the finest maritime museums in the country. It’s home to the Mary E, which is believed to be the oldest Maine-built wooden fishing schooner still afloat. Just before we go for a hike at Thorne Head Preserve, we take a quick detour to the Bath Golf Club, an 18-hole course that’s open to the public. 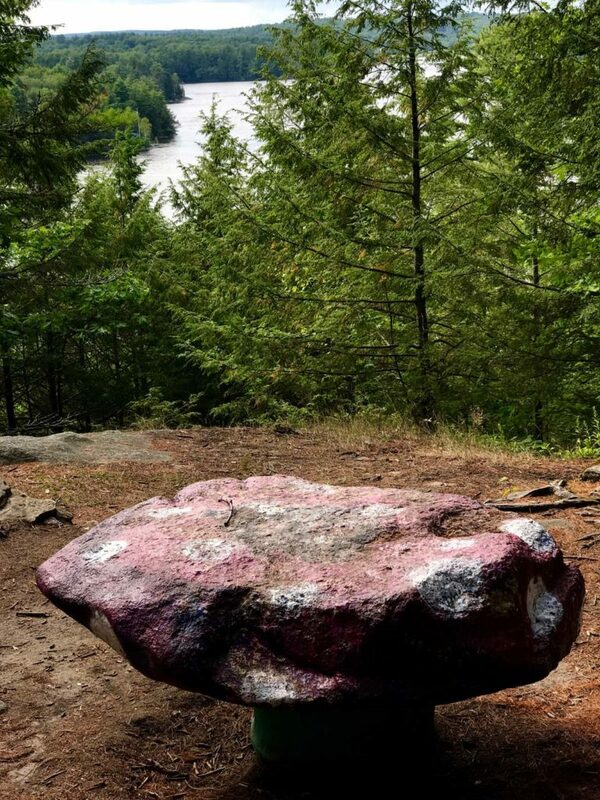 Thorne Head Preserve, at the end of High Street, is chock-full of walking trails that lead to the convergence of Whiskeag Creek with the Kennebec River, just downstream from Merrymeeting Bay. 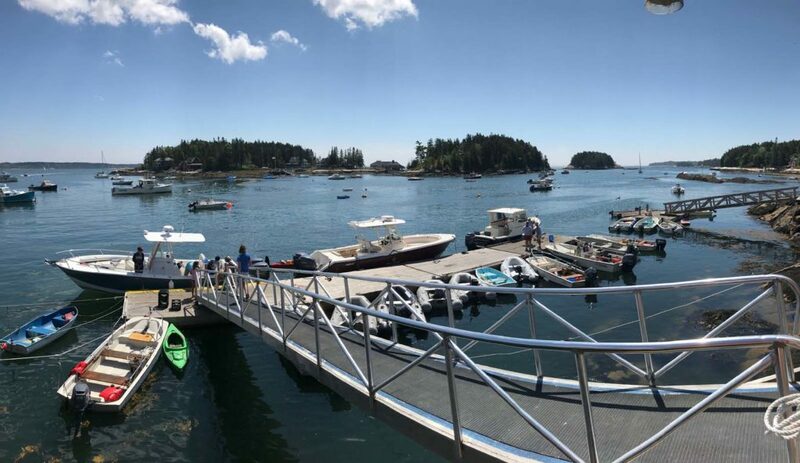 We head back to Phippsburg to Sebasco Harbor Resort. This is a hidden gem of a resort that you can get to by boat or car, and it has its own eighthole golf course. We have dinner at the Pilot House, which has an impressive view of Sebasco Harbor. After a breakfast of eggs Benedict and a tomato salad, we leave for Woolwich. Bath Cycle and Ski is actually in Woolwich, and is a good place for all your bike and ski needs. Ann has placed some of her woodturning products at Georgetown Pottery in Woolwich (they also have stores in Georgetown and Freeport), so we stop in to see how they’re doing. Next up is the Montsweag Flea Market, one of the largest in the midcoast. The outdoor market is open Wednesday, Friday, Saturday and Sunday through October 15. Georgetown, here we come. One of the largest marinas in the state is Derecktor Robinhood, formerly called Robinhood Marine Center. Along with traditional marina and boatyard services, the company rents out houseboats that are moored in Riggs Cove. Next stop is Five Islands Farm, where we buy some artisanal cheeses and fresh tomatoes. A hop, skip, and jump from the market is Five Islands Lobster Co., located on an active fishing wharf. 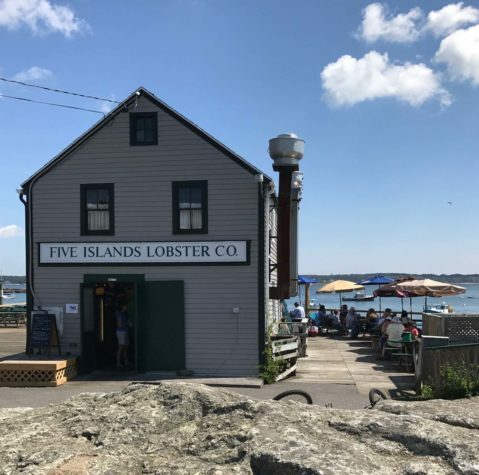 We have a jam-packed lobster roll and a haddock salad. Our last stop is Grey Havens Inn. The view from the porch is breathtaking, and Blue is one of the best restaurants in the area. We head back to Portland after a great 48 hours that confirmed why we love and live in Maine.